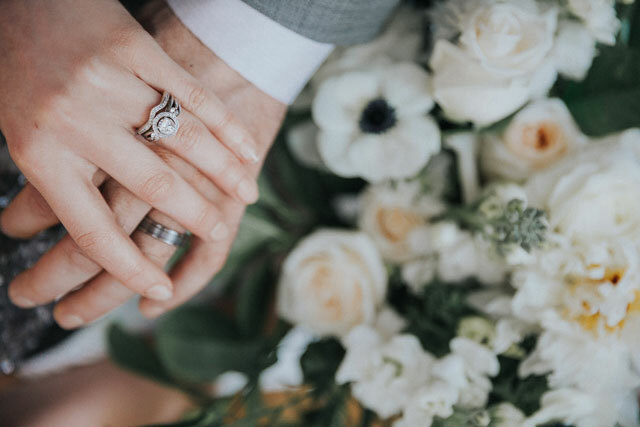 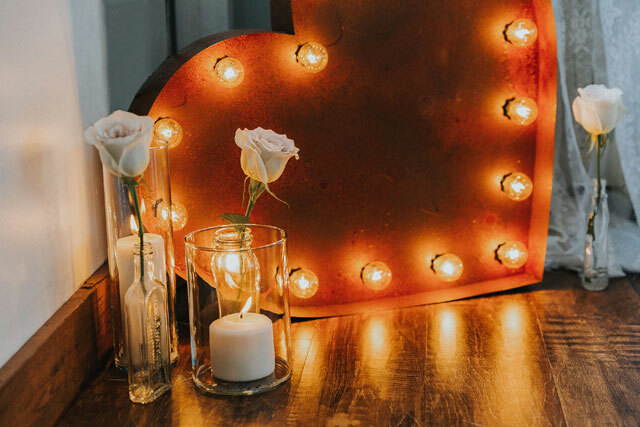 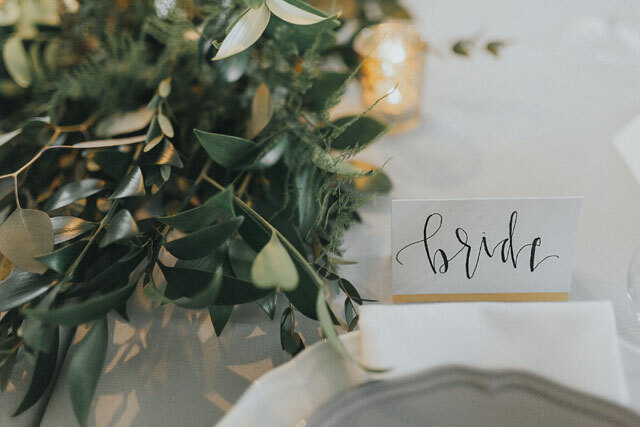 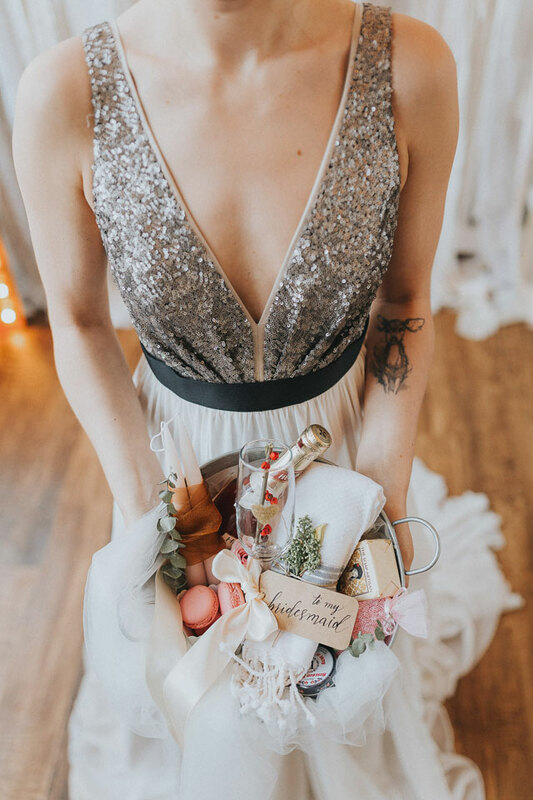 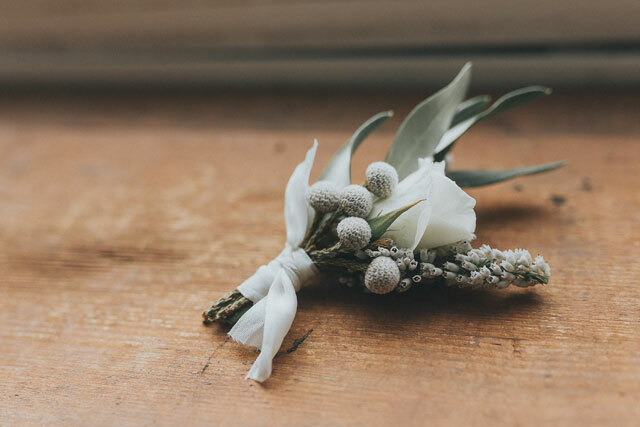 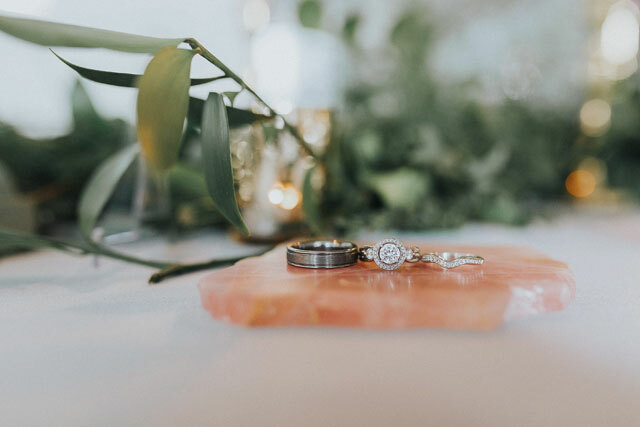 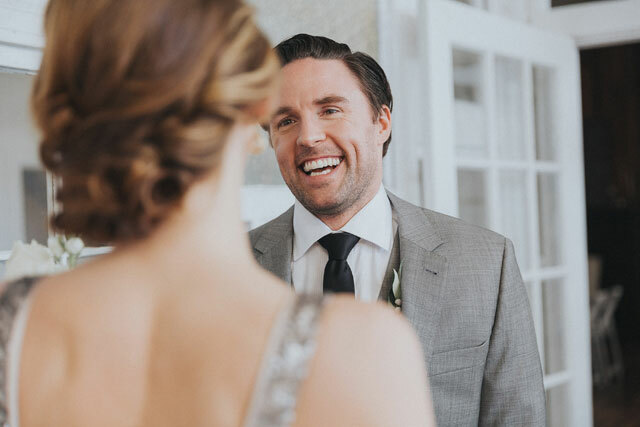 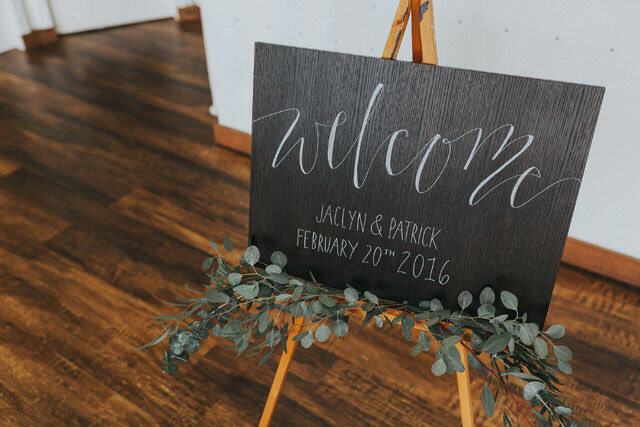 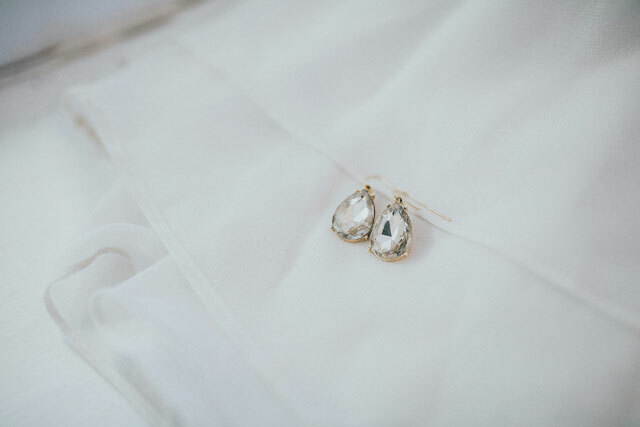 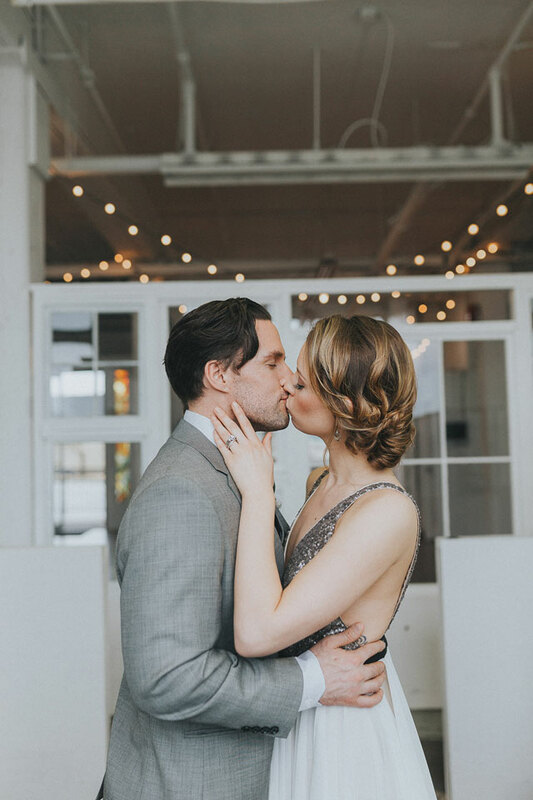 When I heard from Shawna of Sweetheart Events that the styled shoot we worked on last February will soon be featured by an online wedding style blog, I was beyond ecstatic! 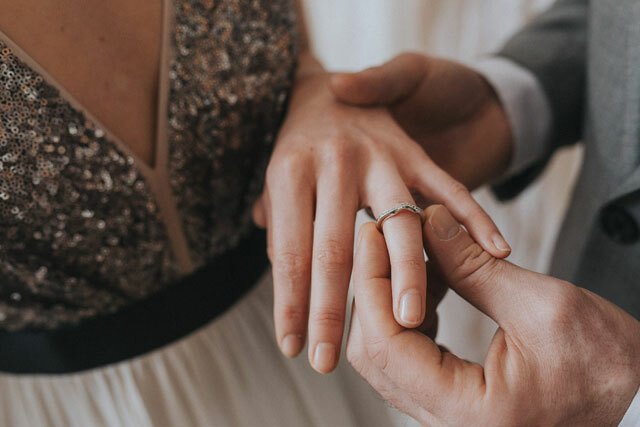 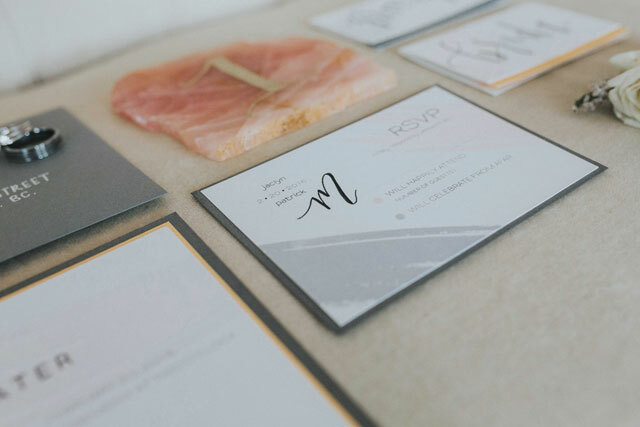 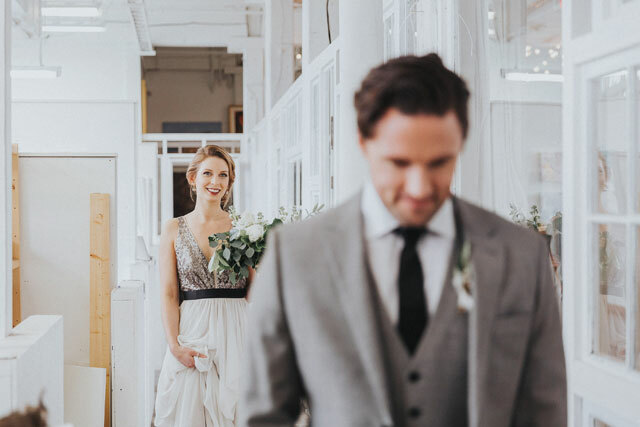 I know that the shoot was tastefully done, and it was an honor for me to be included alongside a list of seasoned and awesome vendors in Vancouver. 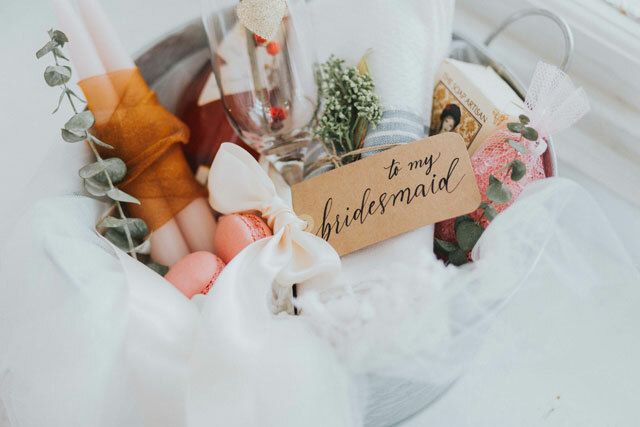 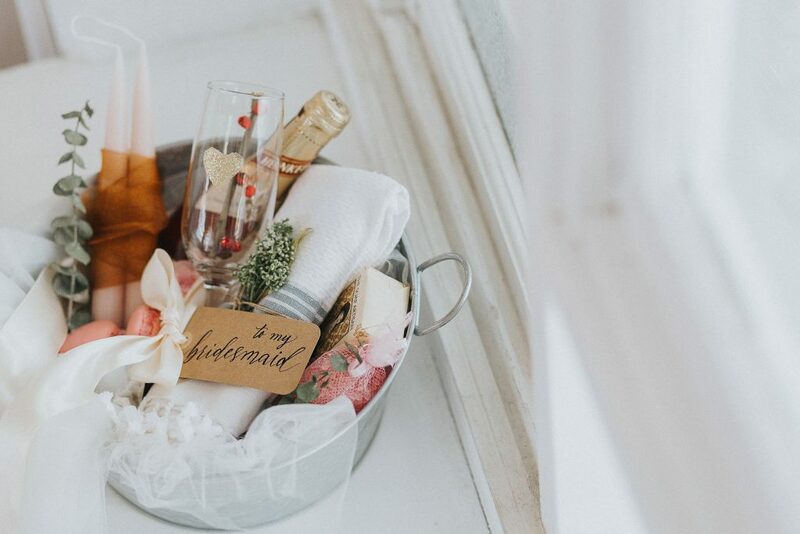 I was asked to create a gift basket following the industrial-inspired theme so I used galvanized tin and chose gift items in hues of white, gold and blush pink. 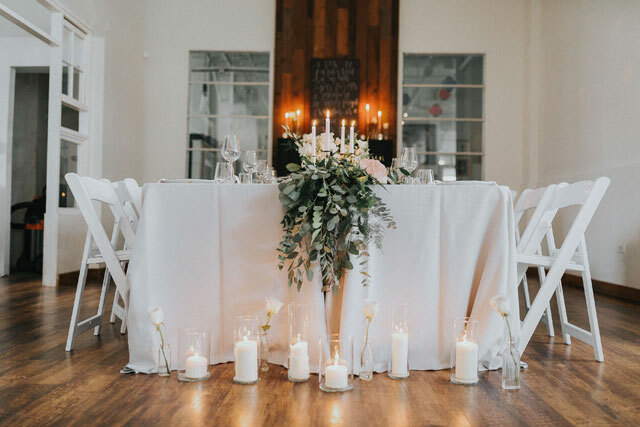 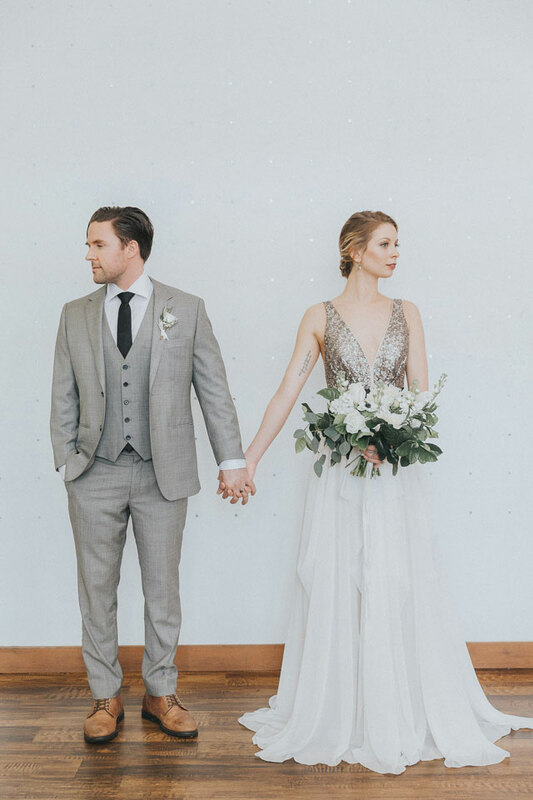 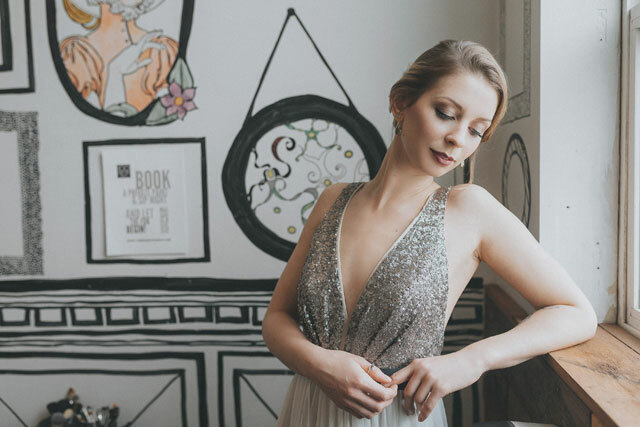 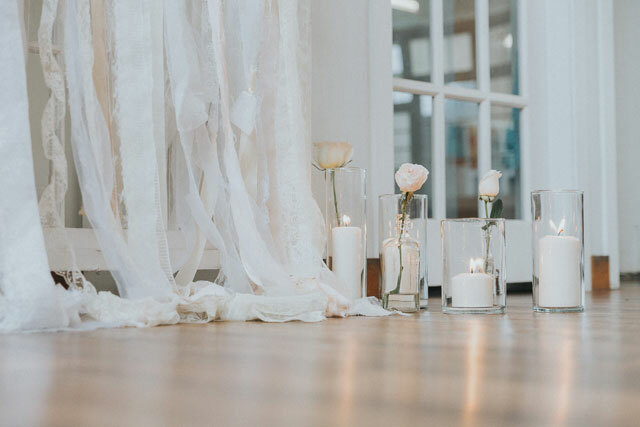 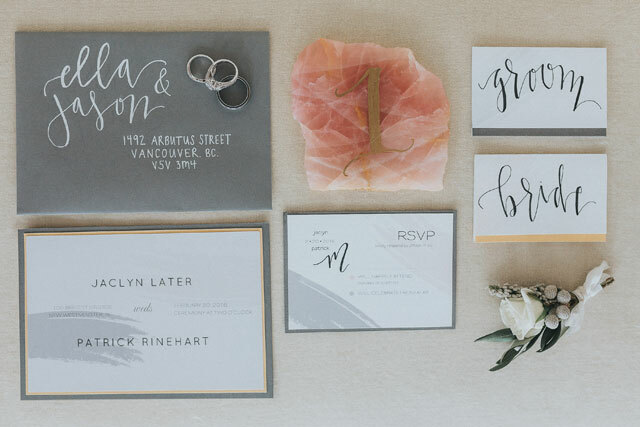 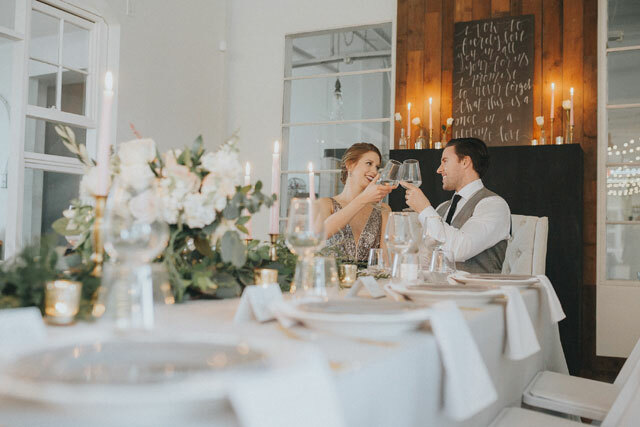 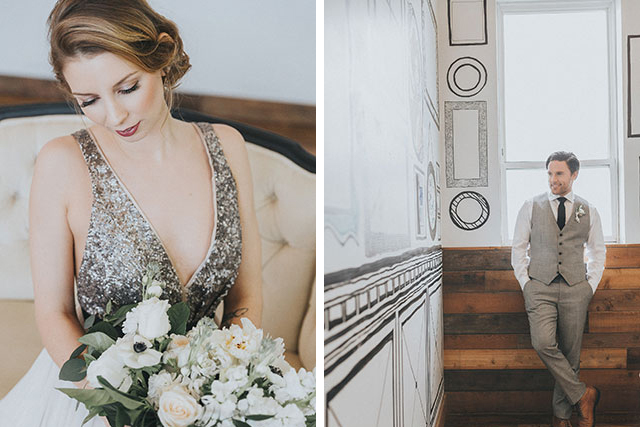 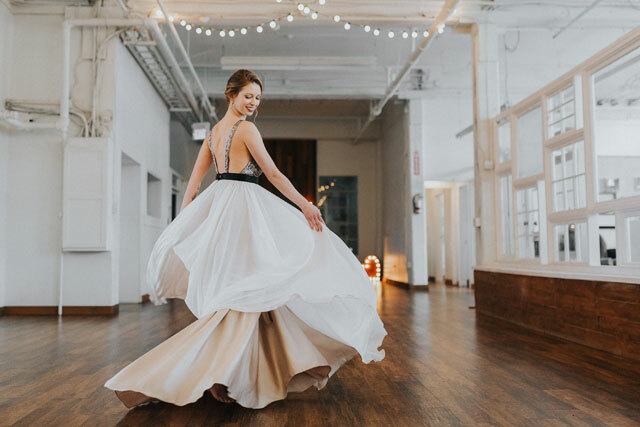 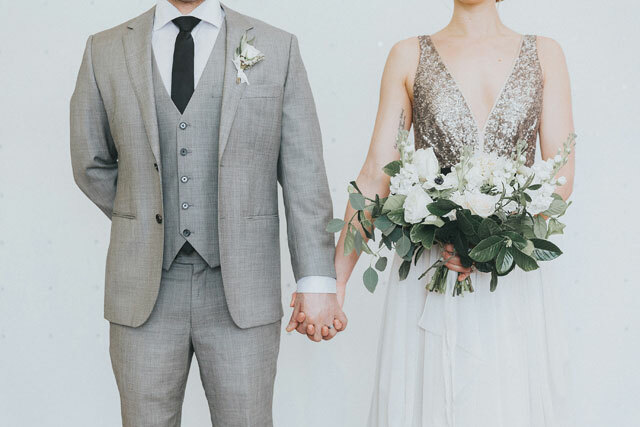 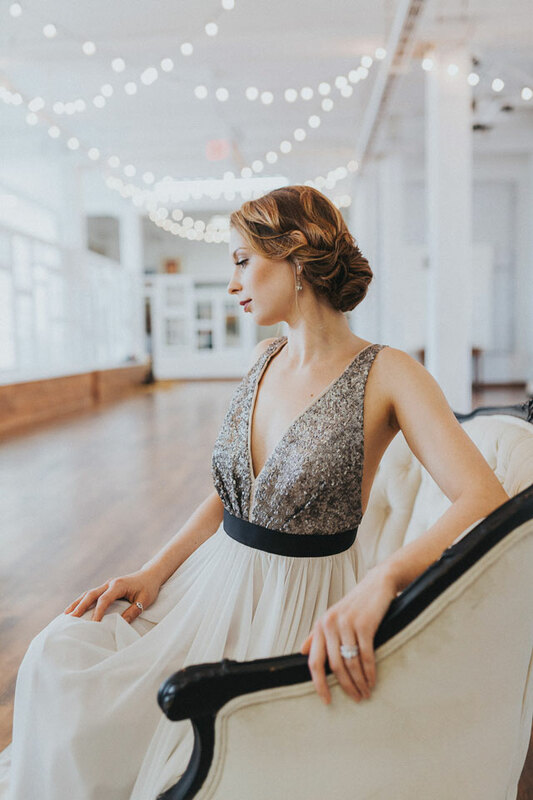 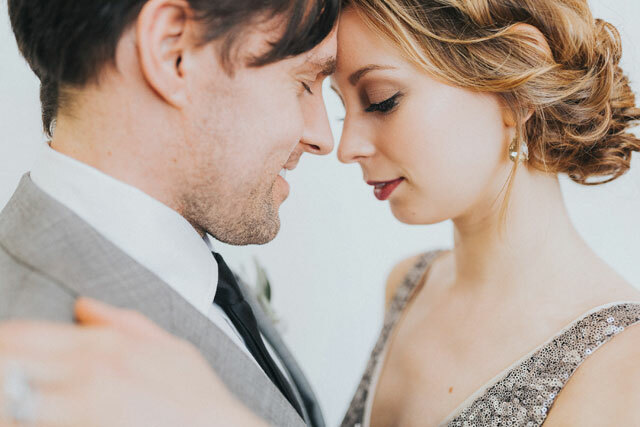 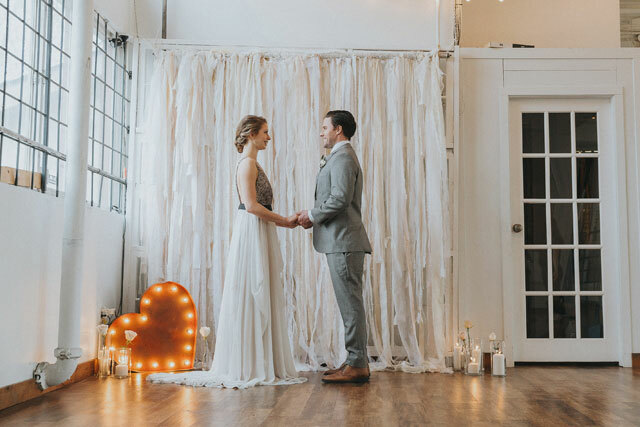 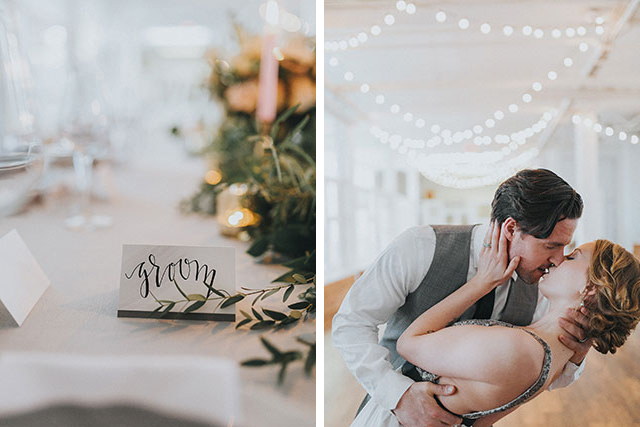 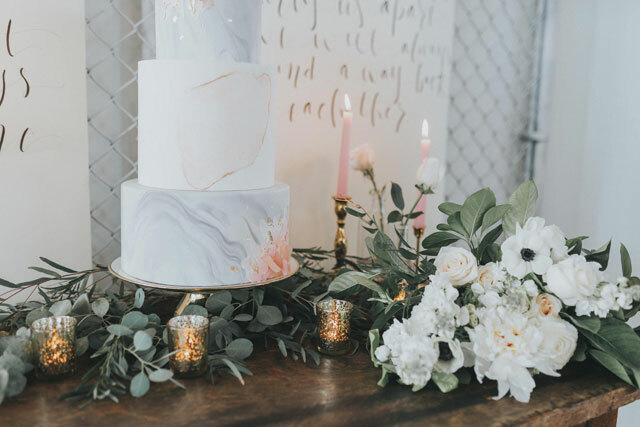 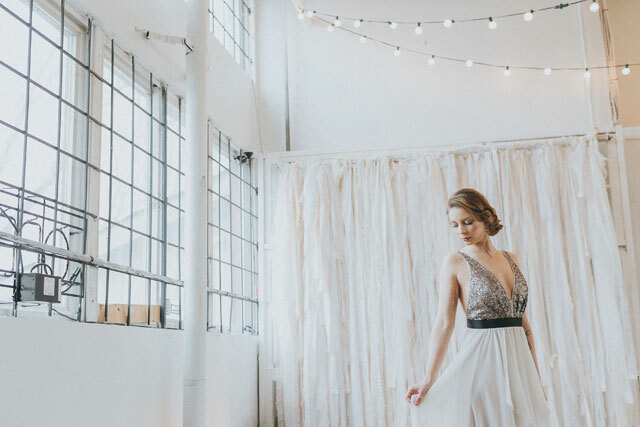 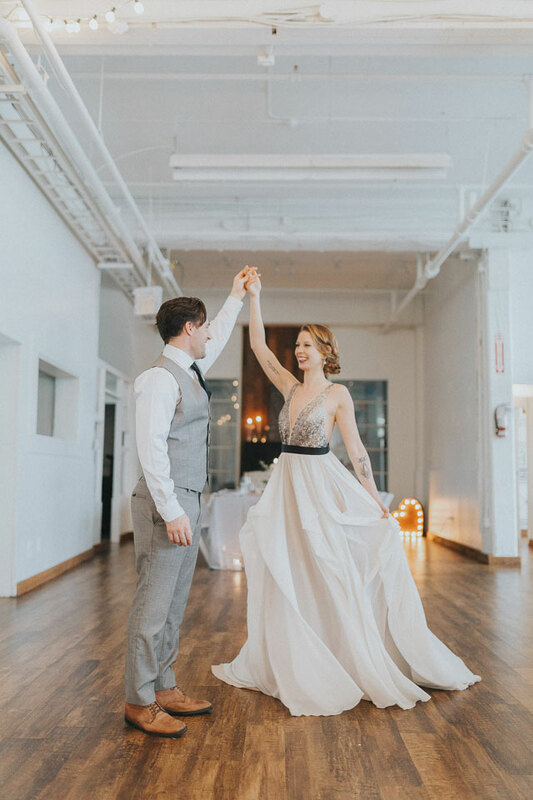 This beautifully airy art studio wedding styled shoot from Summer Rayne Photo and Sweetheart Events showcases a stunning Truvelle gown, vintage decor and personalized wedding vows in an industrial warehouse space softened by the romantic color palette of dove gray, white, gold and Rose Quartz! 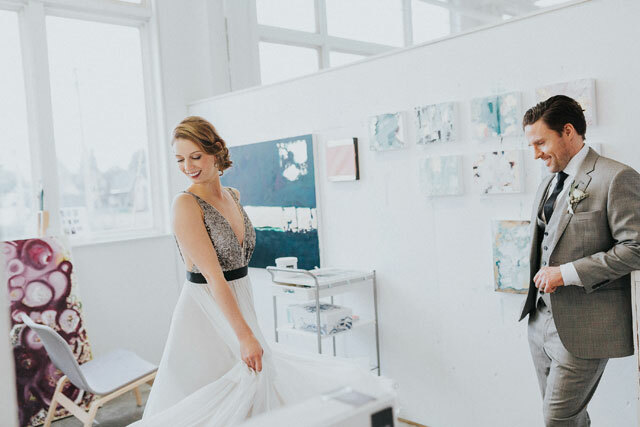 The venue, a former winery, is a current working art studio where guests can look through the reclaimed window walls to see into the artists’ work spaces. 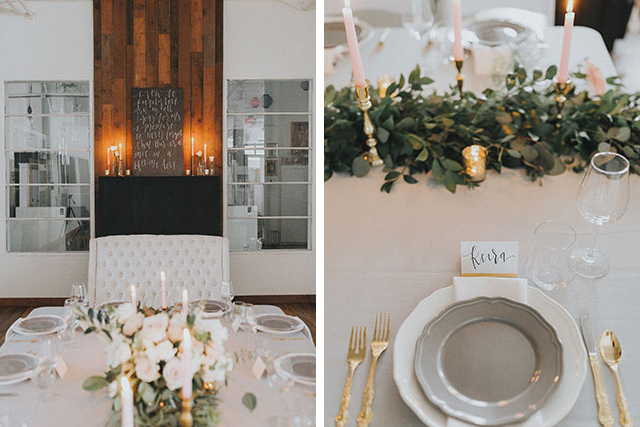 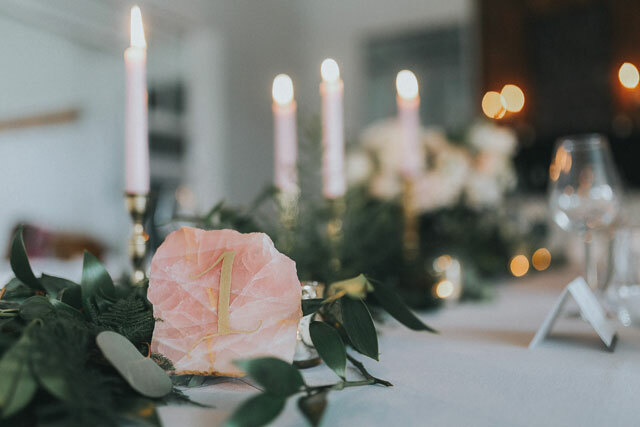 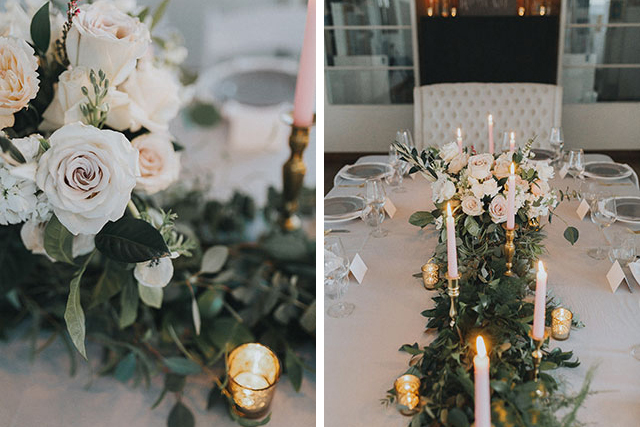 The estate head table was accented with dove gray linens, rose tapered candles, green garland, gold dipped cutlery and a gorgeous centerpiece to bring out the subtle hints of the color palette. 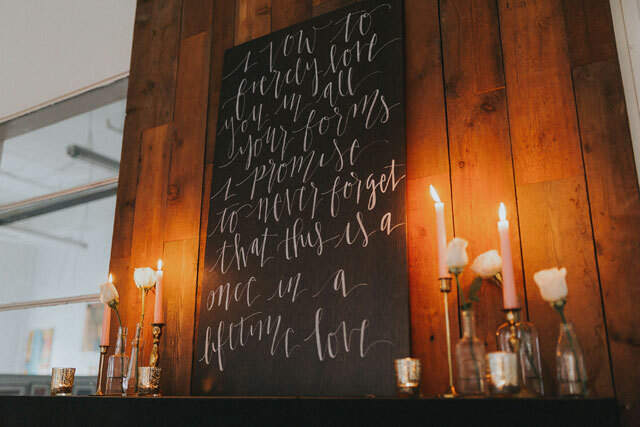 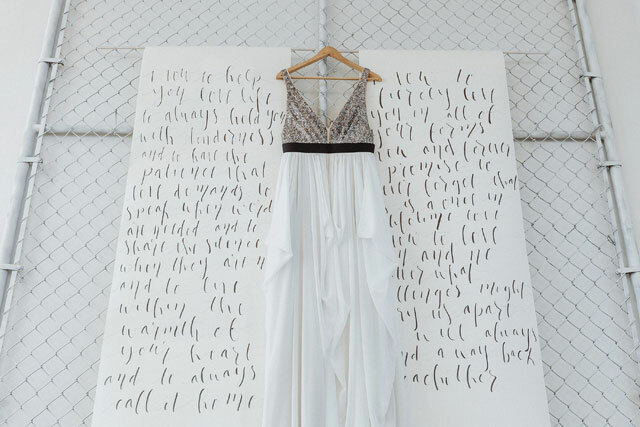 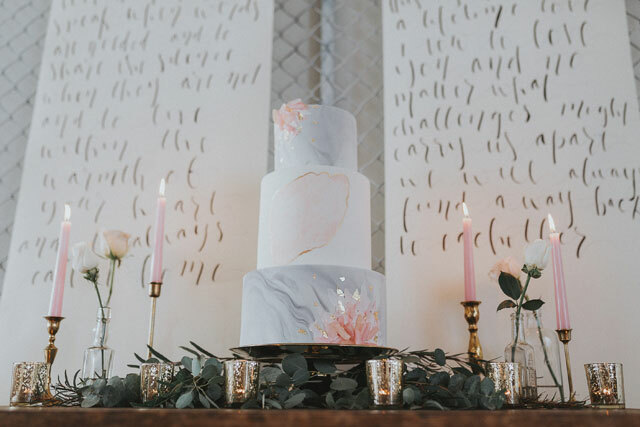 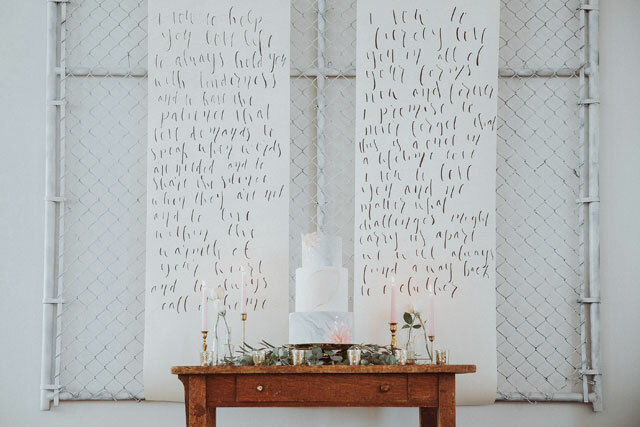 The unique wedding vows were written in calligraphy on a backdrop behind the cake table, as well!